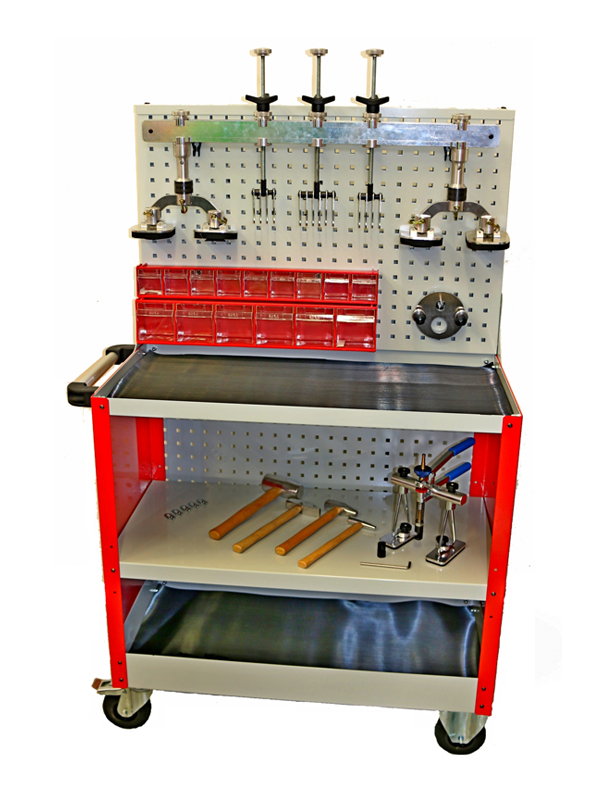 Service cart with peg board on heavy duty locking casters an adjustable shelve, work mat and accessories. • Pull System for aluminum. • Kits of 4 aluminum repair hammers. • Kit of 5 pulling rings with M4 thread. • Round plate for pull system. • 9 small clear storage boxes, 5 larger clear storage.